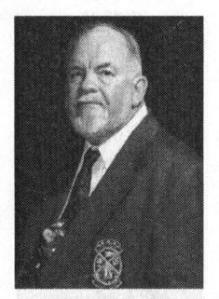 Frank was one of our few AYC “Honorary Life Members”, an AYC member since 1959, AYC Commodore 1989-90, the man who was “Mr. AYC” to many of the club’s long time members. He passed away with his family at his bedside Wednesday March 30, 2011 due to complications from pneumonia. 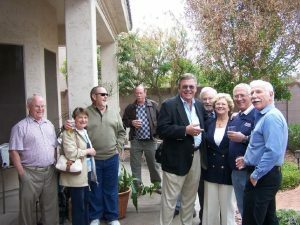 CELEBRATION OF LIFE: Many long-time members of the Arizona Yacht Club joined with Frank’s friends and family for a Celebration of Frank’s life, attendees included Don Defreze, Tia Renshaw and Mike Yarnell , Joe Laux Jr., Tony and Phyllis Siros, Patty Rosky, Dave and Debbie Nowak, Steve and Angela Nahkala, Don and Faye Hueble, Al Lehman, Wayne and Dottie Tucker, Dennis Lynde, and in spirit, Frank Bigelow. 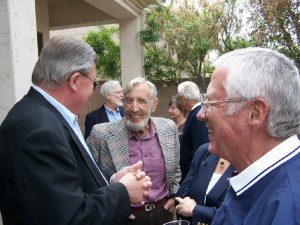 Tom Ohlin, also an Honorary Life Member, recalls Frank for us……”Frank’s dedication to the AYC over the last 50 years has been immeasurable. He was a friend and teacher to all that knew him. His Saturday night socials at his camper at the old Lake Pleasant ramp 2 were legendary. Each Saturday night after much discussion of the day’s races, and the arrival of darkness, we would break out the dice cup and a pen light to pursue the game of Liar’s Dice; in the darkness (the guards thought we were crazy). Quite often on slow/large games Frank would take a cat nap between turns. One such night when the cup got around to Frank, he was abruptly woken and given the dice cup and pen light, which he immediately grabbed and began stirring his drink with it! Another time, I was discussing with Frank the problems I had had sailing a sabot off the Rocky Point beaches. We always started into the wind (east or west) and by the time we were ready to head back to camp, the wind would reverse and we would have to beat back. Frank’s solution to the problem; “sail downwind first, you might get two downwind legs”. Frank and I raced against each other on Interlakes, but later we partnered on a larger boat. The advantage of the partnership is that the costs are now discounted by half, and that arrangement worked well over the years except on one occasion. For some reason Frank could not make it out to the lake one weekend and so I picked up a “green crew”. During a race I grounded on a shoal. Rather than try to explain to the young man how to raise the keel I jumped in the cabin and started cranking. The boat turned and then the rudder grounded and came unhinged. I watched as it disappeared into the murky water. Later I explained what happed to Frank and he said, “YOU lost YOUR rudder?” I gulped. A rudder is not a dime store item. The next week I hired a diver and took him to the spot and asked him to find the rudder, and he did. I called Frank and said “I’ll sell you half of my rudder if you will spilt the diver’s fee with me.” It was a done deal. Frank has received about every honor the AYC can bestow, and we still owe him more. Frank; may you sail into a red sunset with the wind at your back.